International Mill & Timber Co. of Michigan started selling Sterling Homes about 1915. In 1916 the company came up with the idea for an expandable kit house. 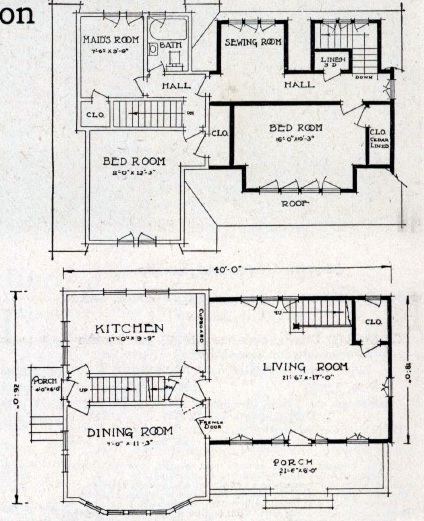 This "delightful" Tudor Revival plan consisted of three separate units. You could buy all three at once, or build your house in stages. The base unit was the Manse. It was a small 18' x 26' two-story house. It consisted of a living room, kitchen, and two bedrooms. If you added the second central unit, the house was now called the Mansion. To add this second unit, the windows on the right side of the Manse were turned into doors. The living room in the Manse became a huge dining room. The Manse on the left. The Mansion on the right. 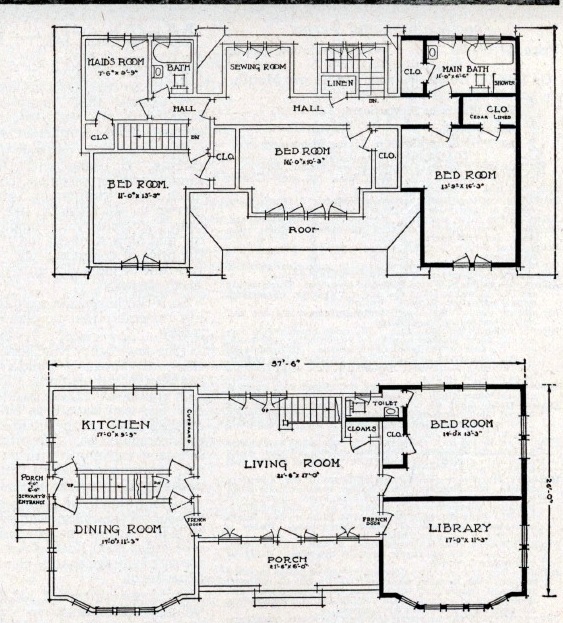 Those four windows on the Manse become doors on the combined floor plan. The Mansion. The house featured dual staircases, a linen closet with built-in drawers, casement windows, and a cedar closet in the large front bedroom. If you added another Manse to the right side, the complete house was now called the Manseigneur. The Manseigneur consisted of two Manses flanking a central unit. The Manseigneur is a five bedroom, 2.5 bath house that is about 3,000 square feet. It has a first-floor bedroom--unusual for that era. 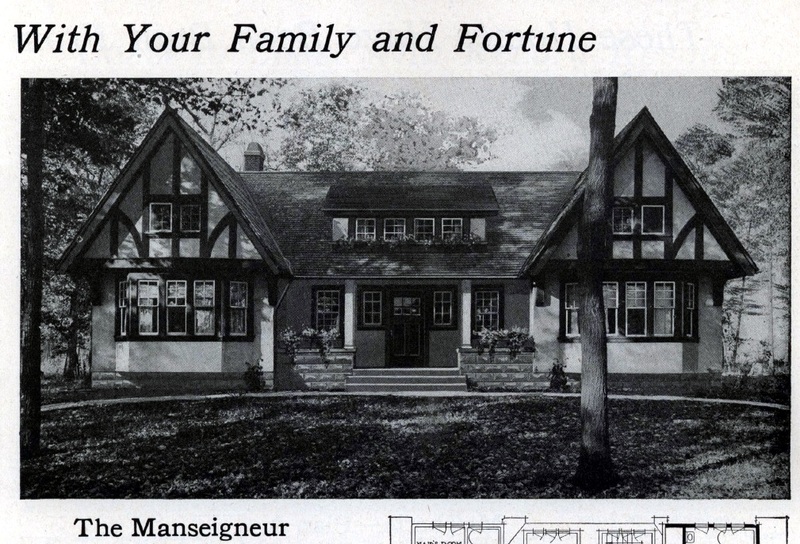 In 1916, the Manse was $699, the two-part Mansion was $1482, and the complete Manseigneur was $2082. I am not sure whether any of these were ever built. The house(s) were sold in 1916, but no longer in the catalog by 1920. This revolutionary kit house was short-lived.